I always fondly recall the first concert in June 1999 of the new KCRW World Festival series at the Hollywood Bowl. Brazilian superstar Carlinhos Brown headlined at that inaugural show, but the concert started off with spectacularly costumed dancers doing a spirited samba down the long staircase from the top of the Bowl, then onto the stage and the parapet wall in front. The dancers were part of the Brazilian dance company Viver Brasil, a homegrown Los Angeles dance organization that does Brazil (and Los Angeles) proud. That unforgettable evening happened 18 years ago, and Viver Brasil remains as strong and as vital a cultural force as ever. On Friday, September 22, the organization will celebrate their 20th anniversary with a special show at the Ford Theatre, the arthouse venue just up the street from the Bowl, called “Agô Ayó—Spirits Rising.” Viver Brasil co-founder Linda Yudín and musical director Kahlil Cummings join me in the studio for this week’s show to talk about Afro-Brasilian dance and music as well as this special performance. Linda is a tireless advocate for Brazilian dance, having nurtured Viver Brasil for 20 years. She also teaches at UCLA and Santa Monica College, and writes extensively about Brazilian dance. Choreographer-percussioinist Kahlil Cummings has worked with some of pop music’s biggest names: Shakira, Janella Monae, Pharrell Williams, and Kendrick Lamar. His heart and soul, however, has always been in Afro-Brazilian dance. Fittingly, we start the show this week with Caetano Veloso’s song “Terra,” which he wrote in a prison cell after seeing the first photographs of the earth shot by astronauts on the 1969 Apollo Mission. What a supreme irony that a song about the beauty of the planet could be written from a dark jail cell. 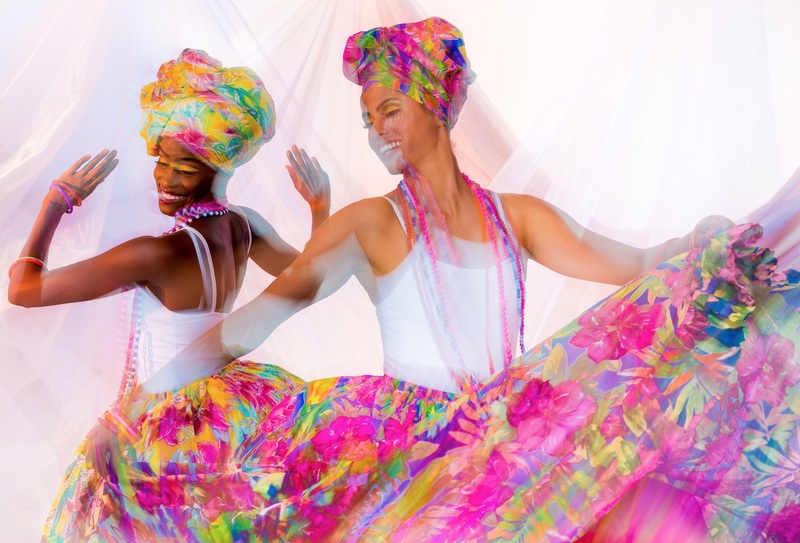 We also listen to the music to which the company will perform various Afro-Brazilian dance styles such as Bahian bloco-afro Carnaval parade dances, samba, frevo, and more. The show will feature world premieres by two female Brazilian choreographers—Vera Passos and Marina Magalhães—with additional choreography by Rosangela Silvestre and Shelby Williams-González. 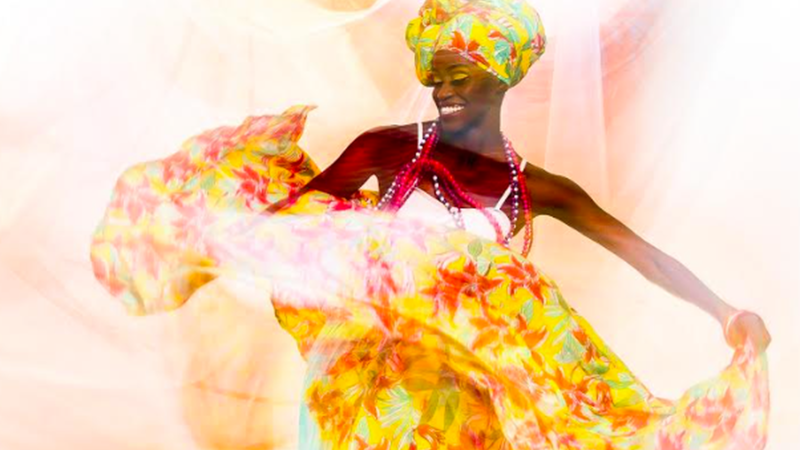 Dances will explore the African diaspora, as well as the mythic, devotional stories of Afro-Brazilian religions and traditional deities (the orixás) such as Ogum, the god of iron and Xangô, the god of thunder, lightning, fire and justice. I look forward to seeing this triumphant and vibrant show, which will no doubt be a feast for the eyes and ears. This celebratory performance is a demonstration of the resiliency of Viver Brasil and of the Afro-Brazilian culture it celebrates. For more information and tickets, click here. Rhythm Planet fans receive a 20% discount off tickets by entering the code VBFRIENDS upon purchase. Photo courtesy of Viver Brasil.